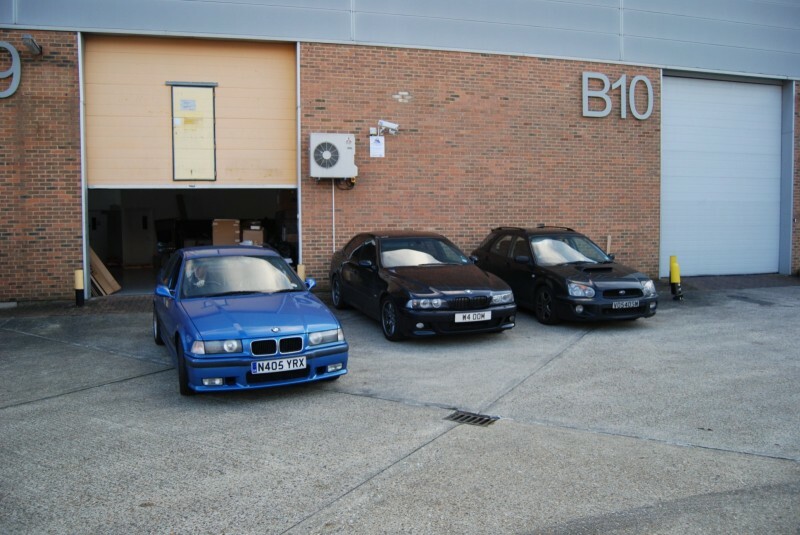 That’s an S50B32, or for those of you who don’t speak in code, the 3.2 litre 321bhp engine from a BMW M3 Evolution. Which is handy, because Ben also has one of these with a dead engine. 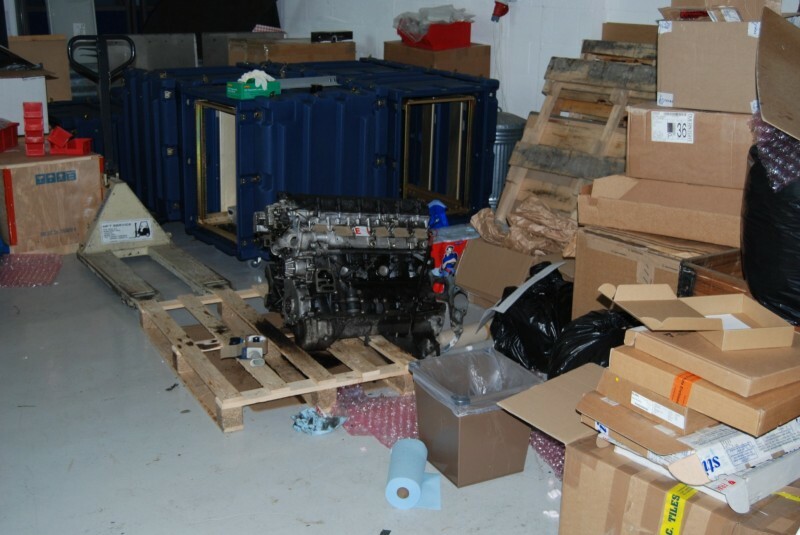 We dragged it to a workshop to do the deed – the hope is that we’ll successfully swap the engines, the more likely outcome is that we’ll put the whole lot in a skip! First job, car up in the air. We decided that taking the front of the car off should make things easier. We had pretty rapid progress up until this point. 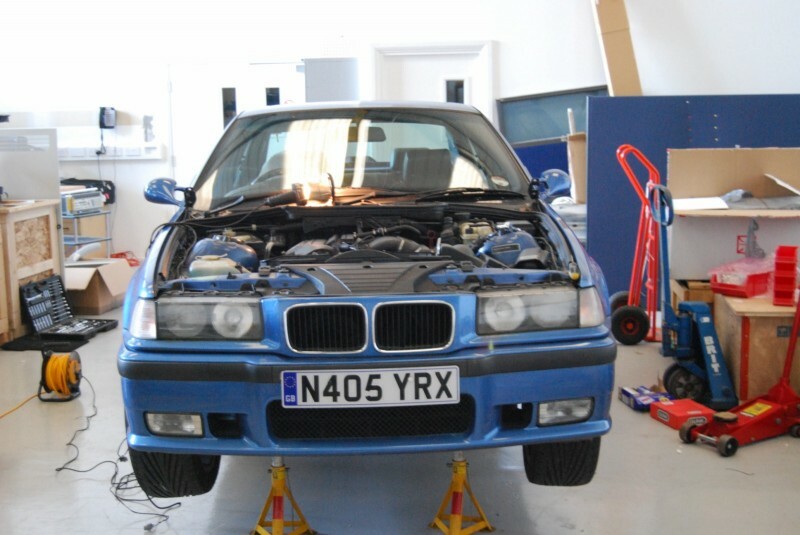 Then we took the exhaust headers off – took about 4 hours! We’ve disconnected most of the electrics, drained all fluids (inc already empty aircon), clutch slave out etc – the whole thing is now on the dangle. That’s how we’ve had to leave it overnight. Next steps are to get the gear shift clear of the car, sort the power steering, and remove the electrics from the fuel rail. Oh, and disconnect the fuel supply and return. All good fun! So cast your bets now, success or skip?! This looks like great fun … a proper Xmas challenge. What are the odds of it running by new year’s eve then? 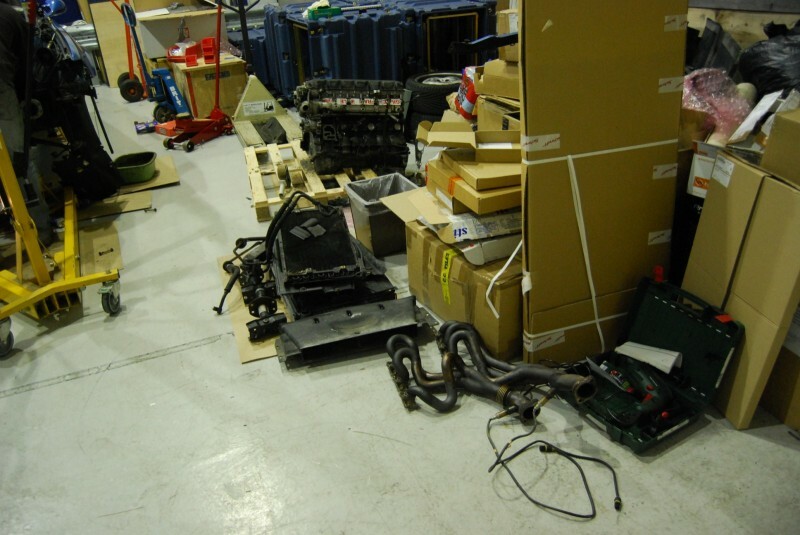 PS hope the new engine works …. Thanks to everyone for the help and advice so far – it’s been vital! 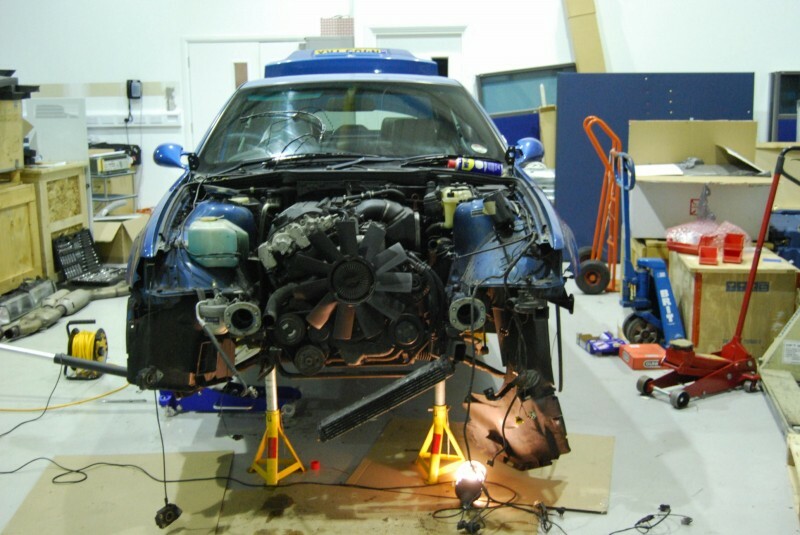 No chance of the car running this year – the schedule is to get the new motor ready to go in before the New Year’s festivities, then Robin and Ben can fit it while I’m at work on the Friday. That’s quite a tall order though, so I expect to see all of us in the workshop on Saturday!